Most of us eat the way our parents did. Mostly, that means eating meat. For many years, the medical establishment told us that meat eaters aren’t as healthy and will not live as long as vegetarians. Some smart people of the Paleo persuasion are challenging this contention. Are they right? Do you care? IT’S JUST after 10:30 on a Thursday night and I’m sitting on the couch in my mother’s home in Washington State wondering how I’m going to wrestle to the mat the lumbering hulk of controversy that I’ve chosen to write about here. The other thing I’m doing on this couch without any conscious direction from myself is digesting a hunk of sirloin steak that good ole Ma made for dinner. “Is it OK that we eat steak tonight”, Ma asked. “It’s grass fed and organic”, she added quickly observing my perplexing visage. “Yeah, that’s fine”, I said, without conviction, and then I started thinking about what I really think about meat eating. When I was a kid, I ate whatever I bumped into without much thought about it. Ma made most of this bumper food until high school years, during which time my food bumping was unguided. I remember frequently yanking a package of baloney from the fridge and tossing a few on a hot pan. Didn’t need to add butter or oil, as the fat in the baloney greased the pan very well. As it cooked, the baloney would form a bubble in the middle and I would deftly pinch it and toss it over to cook on the other side. I never thought about where this baloney came from, how it was made, or if it was good for me to eat. In college, I was introduced to the Pritikin Diet by a “natural” body builder; meaning that he did not take steroids. In this particular case, this guy didn’t eat meat either. For the first time, my eyes were opened to the food scene, and I began to understand the relationship between the food I ate and my health, not to mention it’s influence on my athletic prowess, of particular importance to me during those basketball playing years. Looking back, it was Nathan Pritikin who put me on the path to becoming a health nut. And it hasn’t been easy. The reason it hasn’t been easy is not because I find the discipline of eating a particular way, or taking supplements, or exercising to be difficult. No, my point is that it’s sometimes simply hard to know what to do, or what is right to do. Like eating meat, for instance. It wasn’t too long ago that meat eating among many of the self-identified healthy was done, but not celebrated. Lately, however, the Paleo Diet has surged and all kinds of health gurus have sprouted on the Interwebs espousing new studies, as well as their experience, attesting that meat eating is great for your health. If it’s grass fed that is. These meat-eating gurus are not cranks. People like Dave Asprey of (Bulletproofexec.com), Mark Sisson (MarksDailyApple.com) and Chris Kresser (ChrisKresser.com), among many others, are smart and serious people who present a mountain of evidence that says meat and saturated fat is not only good, but necessary to optimize health. In opposition to this meat eating/saturated fat viewpoint is an equally auspicious group of experts, people like Dr. Michael Greger (NutritionFacts.org), Dr. Joel Fuhrman, (DrFuhrman.com), Dr. John McDougall (DrMcDougall.com) and Dr. Dean Ornish (OrnishSpectrum.com). · Meat should be consumed in small quantities, if at all, because it has lots of saturated fat and might make people more susceptible to heart disease and cancer. To set the table about my confusion about consuming meat, let me present some of the well-considered views of each of the aforementioned meat-loving and meat-disdaining experts. This might be interesting to you irrespective of your views about consuming meat, particularly if you’ve been considering either adopting a vegetarian/vegan or Paleo Diet. If you dislike meat, and all that goes with it, you may find it interesting to read the pro-meat arguments of people who study the matter and opine that meat eating is good for you. Those of who you think a corn dog is a vegetable might get tweaked by the arguments of the anti-meat camp, but begrudgingly concede a point or two to them. And for anyone who wants to “cut to the chase”, let me express what seems to be the bottom line for those who assert that meat eating/saturated fat is good, and that all the studies that say otherwise are flawed. · They measure correlation, not causality, which means that two or more things are happening at the same time but one doesn’t cause the other. · There are insufficient controls, so, for instance, vegetarians might be healthier than meat-eaters in a study, but they’re also exercising and consuming antioxidants, whereas the meat-eaters are not. Dave Asprey, is a celebrated “self hacker”, Silicon Valley investor, computer security expert, and entrepreneur who spent 15 years and $250,000 to hack his own biology. From my readings of Dave Asprey’s posts at his very popular The Bulletproof Executive blog, I can report that he’s very finicky about his meat. It must be free of myotoxins, grass fed and hopefully humanely butchered, which I guess means that the animals died without pain and never saw “it” coming so did not get stressed and flood their bodies with adrenaline. Asprey’s comments about “unoxidized” cholesterol are new to me, so I looked it up. You may recall that that cholesterol is mainly measured by HDL (high-density lipoprotein) and LDL (low-density lipoprotein), and that high HDL number/low LDL numbers are what you want. You want high HDL cholesterol because it scavenges and removes LDL — or “bad” – cholesterol by transporting from fat cells to the liver where it can be reduced, reused, and recycled. I’ve been sufficiently intrigued about Dave’s research and self-experimentation to try his “Bulletproof Coffee”, as I’ve described here. This Bulletproof coffee is a high altitude grown, shade dried, organic, no myotoxin coffee blended with organic coconut oil or it’s derivative, MCT (“medium chain triglycerides, the type of oil in coconut oil), plus grass-fed organic butter. Lots of saturated fat in this coconut concoction, but Mr. Asprey’s claim is that it’s used by the body for energy and testosterone making, and is not detrimental to heart health. My cholesterol numbers are quite good, but I’m soon testing them again to see what several months on Bulletproof coffee may have had on them, given the high consumption of coconut oil, a saturated fat. With over 350,000 subscribers, Mark Sisson runs a wildly successful blog site called Mark’s Daily Apple. He appears to be among the first popular proponents of the Paleo Diet, and that’s the theme of his site. 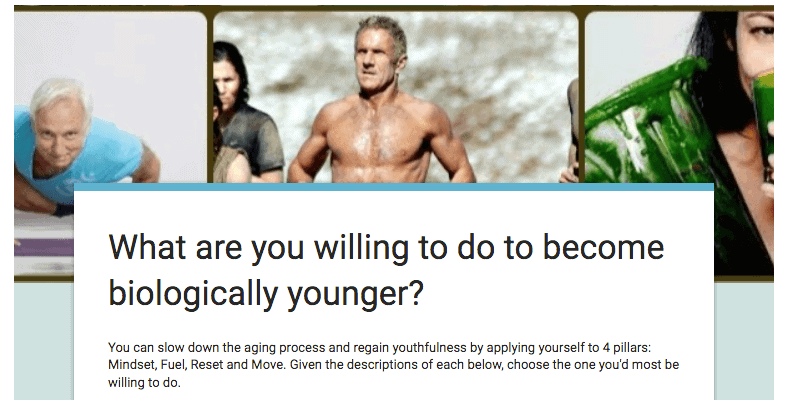 Mark Sisson appears to be the model of fitness, and good health, and is a fine example of what’s possible for Baby Boomers. 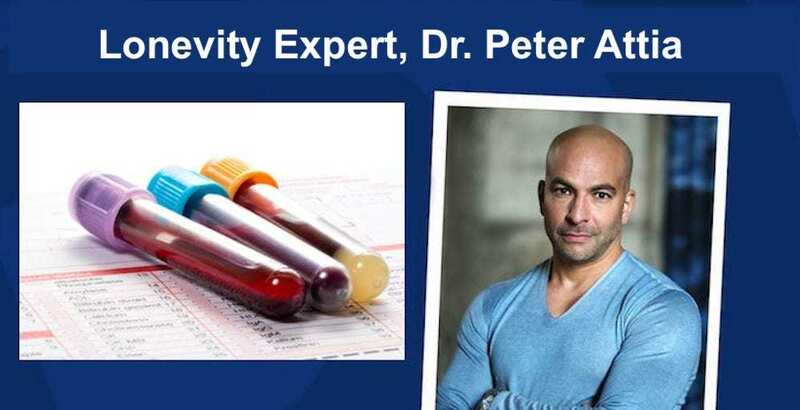 A quick search on his site did not offer any of his blood work results, but I’d be surprised if he didn’t regularly check all the various markers associated with a high-saturated fat/cholesterol diet; thus, my guess that the Paleo Diet is working well for him. The idea that humans are, as Mark asserts, “designed to eat meat” is debated among those who study such things. 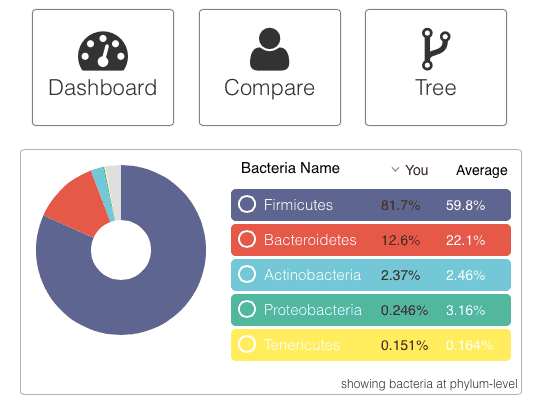 My sense is that our pre-agricultural ancestors were pretty opportunistic when it came to food: whatever filled the tummy and was digestible was probably eaten. Re the notion that meat tastes good and provides essential vitamins and nutrients… well, to people who do not eat meat, it’s smell when cooking can be nauseating, and there are many, many foods with more vitamins and nutrition. Re inflammation, yes, it does appear that it may be the underlying cause for many chronic, degenerative diseases; so eating an anti-inflammatory diet makes a lot of sense. 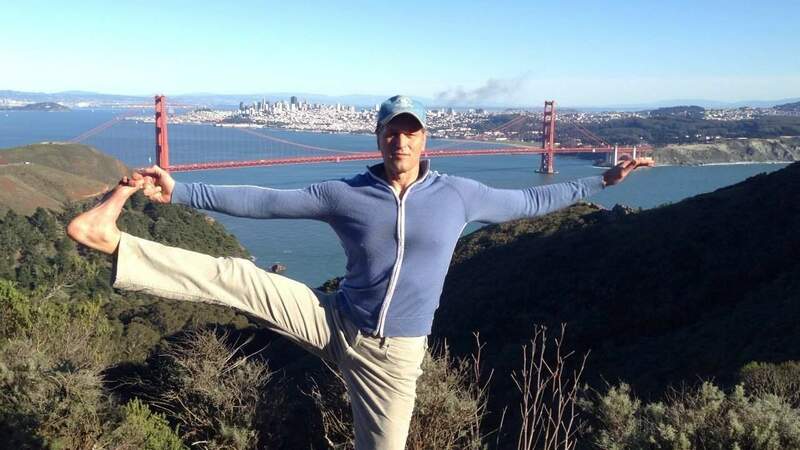 The prolific Chris Kresser is a licensed acupuncturist and practitioner of integrative medicine. His site, Chris Kresser L.Ac, is filled to the brim with thoroughly researched articles he’s written about heart disease, diabetes, obesity and other chronic, debilitating disease states. He, too, as a Paleo advocate, as the following quotes would suggest. Chris Kresser is one smart fella. He’d wash the floor with me if I had to debate him about this stuff. I haven’t read the majority of what he’s written on the subject of the Paleo diet, meat, saturated fat and the like, but I do get a sense that he’s not rigid in his thinking. In fact, Kresser has just come out with a new diet plan that has its roots in Paleo but promises to tweak it to best address the ideal requirements of an individual’s uniqueness. My last point here is to underscore what I’ve already said: People on both sides of this issue clobber each other with many numerous studies supportive of their respective contentions. I’d be careful to throw my whole weight behind either meat/saturated fat/cholesterol is good or bad until a conclusion becomes more definitive, one that is widely accepted by the medical community, or at least by someone with suitable credentials that you trust. Dr. Eades runs a full time bariatric, nutritional, and metabolic medicine practice, as well as the web site, Protein Power. Yes, there is a fair amount of data that suggests that our brain size is related to meat eating, perhaps because it’s a source of plentiful protein. That said, I don’t think it necessarily implies that this means that a meat-concentrated diet is the way to go if your objective is to live a long, disease-free life. The overwhelming number of studies on the matter states that vegetarians outlive meat eaters. That said, remember my two bullet points above about “correlation vs causality” and “insufficient controls”… meaning that the pro-meat camp says those long-lived vegetarian studies are flawed. Re Dr. Eades comments about saturated fats being good, carbs bad – my thought is that it depends. It depends on the carb-dominate foods consumed, when they’re eaten and the activity level of the consumer. Aerobic exercisers need carbs to maintain sufficient glycogen in their muscles to perform steady long distance activities. Weight lifters need some carbs to help transport protein to their muscles via insulin, particularly after weight lifting workouts when the anabolic phase of muscle building kicks in and needs to be fed those protein building blocks. Finally, there’s that pesky little factoid that we’re all a bit different. Some people seem to be genetically predisposed to high fat/low carb and visa versa. You need to find out what best fuels you. Dr. Greger, author, and internationally recognized speaker on nutrition, food safety, and public health issues is licensed as a general practitioner specializing in clinical nutrition, and is the primary researcher and video presenter at NutritionFacts.org. Dr. Greger is a prolific examiner and interpreter of research about nutrition and the like. Go to his site, pick a topic like acne, abdominal fat or acai berries, and among his near 1,600 health topics, you can anticipate he’ll have addressed whatever you want to know about. As you can see from his comments above, Dr. Greger is sticking with the long-standing traditional views about meat and saturated fat, which is: less is more better. In this case, as with all of the topics addressed, his style is to present several research studies about a topic and then render his opinion. Are the studies infallible? Is his opinion unarguable? No, but I like that Dr. Greger a trained medical doctor and nutritionist who uses research to form his views. What I tend to do is to check what Dr. Greger has to say about a topic if I’m confused about it or if it’s controversial. It may not clear it up for me entirely, but at least I’ll see what some of the research has to say about it. Dr. Fuhrman is a board-certified family physician, NY Times best-selling author and nutritional researcher, and a recognized expert on nutrition and natural healing who specializes in preventing and reversing disease through nutritional and natural methods. “The consumption of red meat and processed meats on a regular basis more than doubled the risk of some cancers. Even ingesting a small amount of red meat, such as two to three ounces a day, was shown to significantly increase the risk of cancer. (4) Red meat and processed meats contain more saturated fat and trans fat than other animal products, and, therefore, are poorer food choices. However, the fat issue does not tell the whole story. Toxic nitrogenous compounds (called N-nitroso) occur in larger concentrations in red meat and processed meats. Red meat also has high haem (also spelled heme) content. Haem is an iron-carrying protein, and it has been shown to have destructive effects on the cells lining our digestive tract. (5) Processed meats, luncheon meats, barbequed meats also contain cancer-causing heterocyclic amines. (6) These foods must not be a regular part of your diet if you are looking to maintain excellent health into your later years of life, because they promote heart disease and dementia too. Dr. Fuhrman’s views have substantial backing. He cites a huge number of research studies, has the results of his own patients, and is himself a testimonial to a healthy, strong Baby Boomer who is not slowing down…. Ha, just like Mark Sission whose diet and philosophy are nearly the opposite. In passages that I quoted above, Dr. Fuhrman refers to the dangers of processed meat, and that makes me wonder if – like some of the Paleo Diet aficionados insist – the quality of the meat makes all the difference. I get that organic, grass-fed meat is far superior to the alternatives, but would it really make something bad, good, rather than less bad? Speaking of processed meats, I follow an informative site called Examine.com, which is, as they say, an “independent compendium on supplementation and nutrition.” They recently published a research-based article called Is processed meat bad for me? right here. If you eat processed meat, do consider reading it. Physician and nutrition expert, Dr. John McDougall is the author of several nutrition books and is the medical director of the McDougall Program, a ten-day, residential low-fat, starch-based diet and lifestyle change program located in Santa Rosa, CA. You can find him at Dr.McDougall.com. I’d love to see a debate with Drs. McDougall and Fuhrman on one side of the stage, and Dave Asprey and Chris Kresser on the other. Having read quite a bit of their views and synopses of the research they cite to support such views, the matter remains opaque to me. It would be great to witness the back and forth assertions during a debate, and from that some clarity would come into focus, I wager. If you’ve read what Dr. McDougall has to say above, you can see that there’s not much daylight between his and Dr. Fuhrman’s views, which can be distilled down to: vegetables are good, animal products aren’t. I really scratch my head when I see both McDougall and Kesser refer to the Eskimos to support opposite conclusions. Dr. Ornish is the founder and president of the non-profit Preventive Medicine Research Institute and Clinical Professor of Medicine at the University of California, San Francisco, and has spent more than 35 years conducting clinical research demonstrating that comprehensive lifestyle and diet changes may begin to reverse even severe coronary heart disease. “Replacing refined carbohydrates with unrefined carbohydrates such as fruits, vegetables, and whole grains is more healthful than replacing refined carbohydrates with bacon and sausage. For example, in the Harvard Nurses’ Health Study of over 75,000 women, researchers found a strong inverse relationship between intake of whole grains and the risk of developing coronary heart disease. “What you include in your diet is as important as what you exclude. There are at least 100,000 substances in certain foods that have powerful anti-cancer, anti-heart-disease and anti-aging properties. These include phytochemicals, bioflavonoids, carotenoids, retinols, isoflavones, genistein, lycopene, polyphenols, sulforaphanes, and so on. Where do you find these potent substances? With few exceptions, these protective factors are found in fruits, vegetables, whole grains, legumes, soy products and in some fish. These are rich in good carbs, good fats, good proteins and other protective substances. 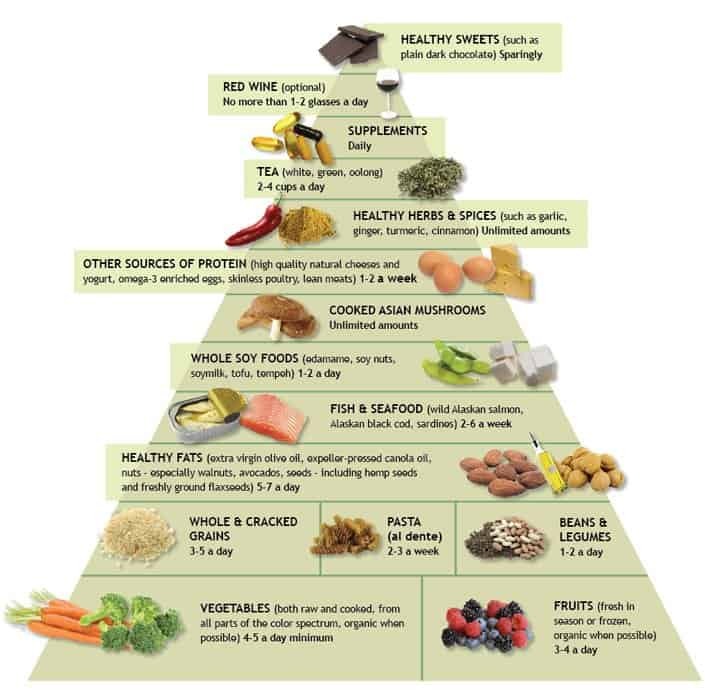 “An optimal diet is low in refined carbohydrates as Atkins indicated, includes omega 3 fatty acids as in the Mediterranean diet, and is low in saturated fat and trans fats and high in fruits, vegetables, unrefined carbohydrates, legumes, and soy products as I have been recommending. Dr. Ornish is one big experimenter. He’s done studies over decades with thousands of participants with whom he’s tested his low fat, high vegetable type diet. The results have been dramatic, in that many have reversed heart disease and diabetes through his diet alone. Nonetheless, there are detractors. Some claim that there are too many uncontrolled factors in Dr. Ornish’s studies, such as exercise and antioxidant supplementation that contribute to his results, not the low-fat, high-plant, low-meat regimen. I think Dr. Ornish’s last paragraph above is spot on, in that the ideal diet for someone on death’s door due to heart disease is different than a hale athlete. When laypeople like you (presumably) and me (definitely) try to judge experts entrenched in countervailing views, each hurling science at each other, well, confusion reigns. a. Grass fed meat, or reduce it a lot. b. Grass fed butter, or reduce it a lot. There’s no doubt that this is hard, this testing, primarily because we’re not nematodes in a petri dish where everything can be controlled. In other words, in real life, it’s very hard to change just one thing and keep everything else constant. Just do the best you can, perhaps using the three tips cited above, and report back here in the Comments below. Go do it with a light heart, understanding that the path my be crooked but if you keep on it you’ll get way ahead of where you are today. Kudos for presenting an unbiased overview of both sides… something most bloggers seem incapable of doing. I think many bloggers learn that they get more allegiance (and traffic!) if they chose a side and then get vehement about it. Although the middle way is often the best approach to many things in life, it doesn’t garner as much interest as those who trench a deep line in the sand. This is the article I have been searching for for the past two years. Finally someone else trying to grapple with the same questions I have had. I have carefully read through books written by Kris Kresser, Mark Sisson, Dean Ornish, Andrew Weil, and Michael Greger, and it has all left my head spinning. I too have wished there would be a serious debate between two panels represented by the experts you have referenced in your article. Thanks for writing and posting this! Yes, Tom, as the adage goes… the more I know the more I know how much I don’t know.